Today Paris will again be the focus of world attention. 150 world leaders, including Presidents Obama, Xi, and Putin, Chancellor Merkel and Indian Premier Modi will be there. They will attend the most important meeting on climate change since the Copenhagen summit ended in chaos in 2009. The shape of the summit’s outcome, tentatively named the Paris Agreement, is already clear. It will have three components: carbon pollution reductions commitments from every participant; a body of rules for the future conduct of the regime and a finance package to help smaller nations both reduce their pollution and adapt to a changing climate. No-one expects that the results of this summit alone will be enough to prevent dangerous climate change. There will be much debate over the exact content of the agreement, and more over its interpretation. The devils, as always with international agreements, will be in the detail. Most of this debate, however, will miss a critical point. It is changes in the real economy that matter most to the climate. 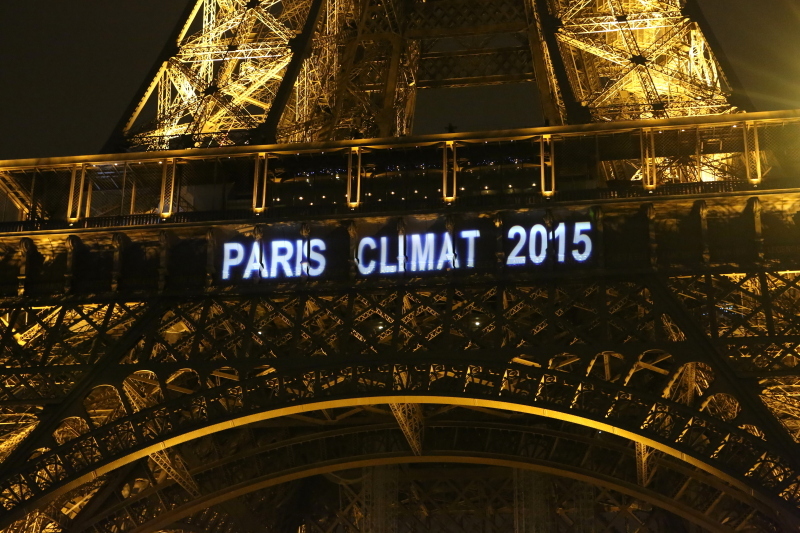 The Paris summit occurs at a turning point. Until now the political risks to governments of climate action have outweighed those of inaction. This risk equation is changing. The frequency, and cost, of extreme weather events continues to rise while the costs of low carbon energy are falling precipitously. Extreme weather events have done tens of billions of dollars’ worth of damage, often uninsured, in many countries. Hurricane Hainan alone cost the Philippines $12.9 billion. Superstorm Sandy cost the US over $60 billion. Meanwhile the costs of developing a low carbon economy have fallen. The cost of solar has dropped 50% in five years. In some parts of the world it already competes directly with gas. The cost of batteries for electric vehicles dropped 55% in the same period. As these costs fall so, too, does the political cost of acting on climate change. The stronger the agreement struck in Paris, the faster this equation will change. This matters to business. But not in the same way to all businesses. For the fossil fuel industries and their main customers the slower the better. A safe climate is incompatible with their so far very successful business model. A rapidly changing political risk equation would collapse value for them. But the costs of a changing climate are just beginning to impact a vast range of other, more economically important, businesses – retail, tourism, agriculture, for example. They need a faster change to protect costs, markets and supply chains. Then there are the opportunity seekers. The innovators and entrepreneurs, like Elon Musk, that are driving down the costs of low carbon energy. With market dynamics that look far closer to information technology than traditional energy investment, the faster this equation changes the better they do. Finally, there are the main stream investors pursuing returns. They will stand back waiting to see how the battle of interpretation of the Paris Agreement resolves. They will back whichever of the other business voices they believe will deliver reliable and superior returns. What matters most for the climate is whether the $90 trillion the world will invest in energy over the next decade and a half takes us from a high carbon to a low carbon path. Business will have a crucial voice in this debate. But after Paris it may be a much more divided voice than hitherto.